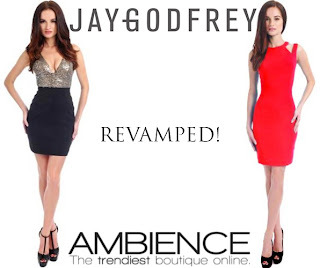 Jay Godfrey fashion dresses and tops are back at Ambience! Grace picked up the line once she saw how the designer revamped the line. It looks amazing. The dresses fit and style is on-trend and amazing! The fabric is excellent and the pieces are versatile. Grace selected the best of the line dresses and tops. Perfect pieces for the holiday invites!